Saveur Purvis Street is a famous French restaurant that is part of the Saveur group with outlets at Far East Plaza, The Cathay and ION Orchard. 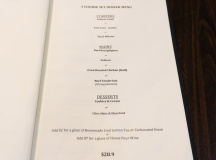 What sets Saveur apart from the competition is its incredible quality of food at an affordable price. 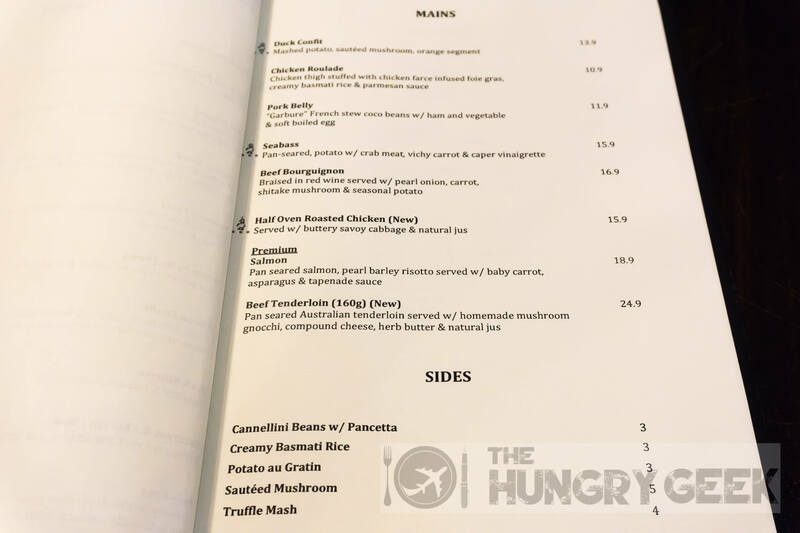 You can get their à la carte duck confit at a mere S$13.90, which is cheaper than an upsized carbonara pasta from PastaMania and cheaper than the fish & chips from Fish & Co. 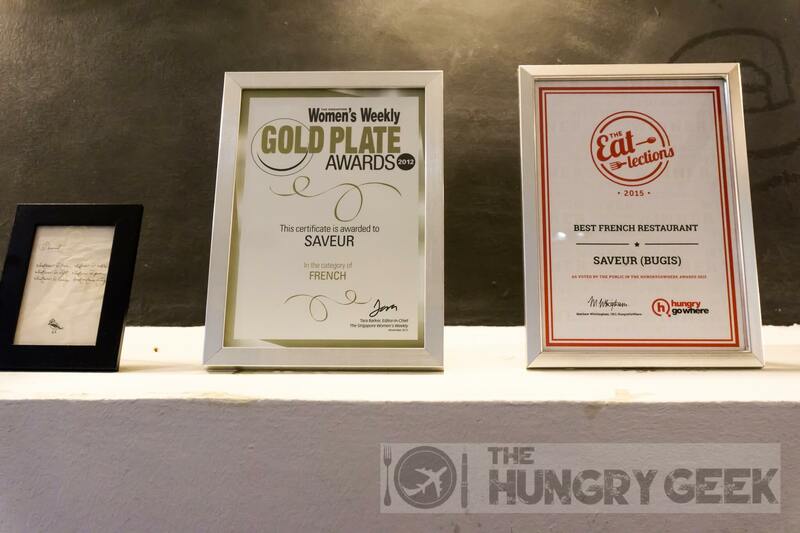 Unlike those mass produced dishes, the food at Saveur Purvis Street is quality made-to-order French cuisine. Saveur opened in 2011 and after so many years I am still blown away by their consistent quality and affordability that is second to none in the entire Singapore F&B industry. We strongly recommend making a reservation if you are heading down to Saveur Purvis Street during the usual peak timings. They have an advanced queueing system at the premises, but it is not uncommon to encounter a full house on a busy night. They have very good and responsive service, the wait staff was attentive and we did not notice any mistakes on their part. 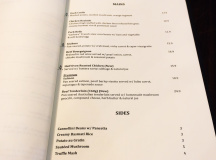 They mark their logo next to their signature dishes on the menu, and you can be sure that ordering any one of those is a pretty safe bet. 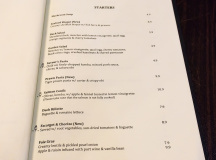 For us we have found their duck confit to be the best amongst all the French restaurants that we have visited in Singapore, and we have been to quite a few. 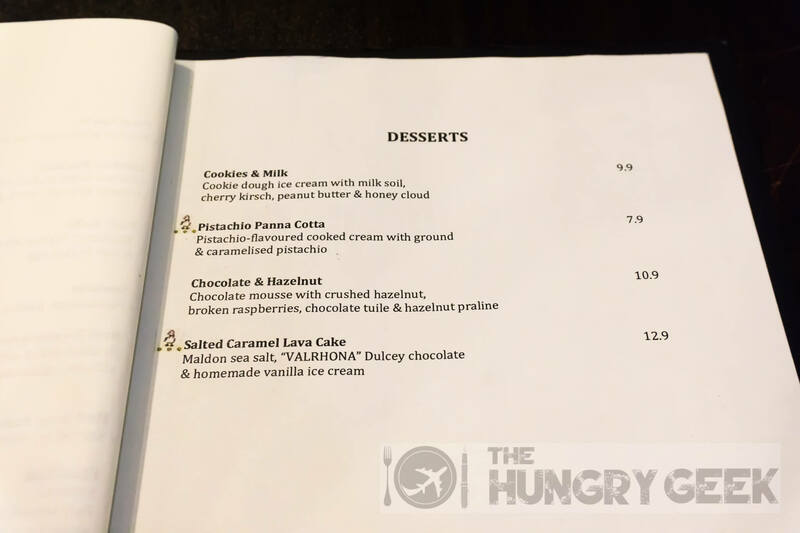 As a party of three, we ordered à la carte their Saveur’s Pasta, Duck Confit and Seabass as well as one of their 3 Course Set Dinner Menu (priced at S$28.90), selecting their Foie Gras, Salmon and Chocolate & Hazelnut dessert. This is a small serving of thin capellini pasta with chilli oil, kombu (kelp), minced pork sauce, chives and sakura ebi (mini shrimps). This dish has Saveur’s brand stamped on it and rightly so, it is truly an exquisite and unique dish. The capellini is always al dente and the combination of the ingredients gives an indescribable yet delicious savoury taste. If this dish was available somewhere nearby with a slightly larger portion at the same price, I’ll buy this every other day. We love it and we give it 4.3/5. It is priced at a reasonable S$4.90 and sized as a small starter dish. Foie gras is french fattened fowl liver that is usually pan fried, and it is simply a delicious dish. The rendition by Saveur was up to expectation and it had the usual irresistible fragrant taste with succulent juiciness. The lentils are a type of legume and its creamy sauce went very well with the foie gras. We rate this 4/5. This came included with the dinner set menu. 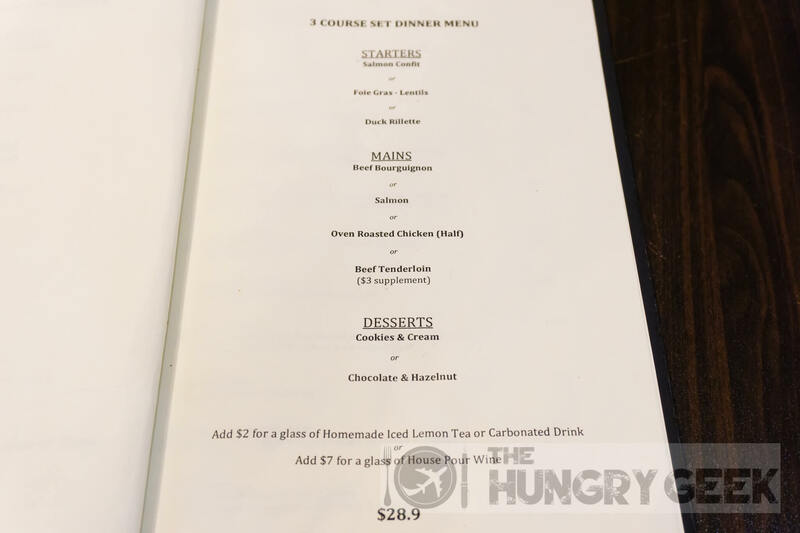 Do note that compared to the à la carte version that is priced at S$7.90, the set menu version does not include the pickled pearl onions (which I probably would have left alone anyway). This was the highlight of the night for us! We have dined at Saveur on countless occasions and their duck confit has always been exceptional. Tonight was no different, and they have made another perfectly delicious duck confit. Some fine dining snobs may snicker at our use of ‘perfect’ to describe duck confit priced at S$13.90, but I come to this conclusion after tasting the duck confit at no less than five French fine dining restaurants in Singapore. French duck confit is an incredibly difficult dish to perfect, and in our experience it is usually either too salty or lacking in the juiciness department. Saveur’s duck confit lacks neither – it has the perfect taste, texture and juiciness, and this would easily be in my top 5 foods in Singapore list. The juicy fragrant duck here is really addictive and mind-blowing. The included mashed potato is a perfect complement. We rate this duck confit 4.6/5, and it barely gets into our exclusive The Ultimate Taste list reserved only for our best gastronomic experiences. As a caveat, with all chain restaurants YMMV (your mileage may vary), but I don’t recall ever being disappointed with the duck confit at Saveur Purvis Street. This would be our second choice for mains at Saveur, but it is quite a ways behind their duck confit. The seabass here is juicy with the perfect soft texture that goes just right with the crispy skin on top. We found the included potatoes done up just right, and as someone who usually avoids potatoes that are not fries or wedges, this was a nice surprise. As a preference, we would have preferred the skin on the seabass to be slightly less crispy. We rate this dish 4.2/5, and you can get this a la carte at S$15.90. 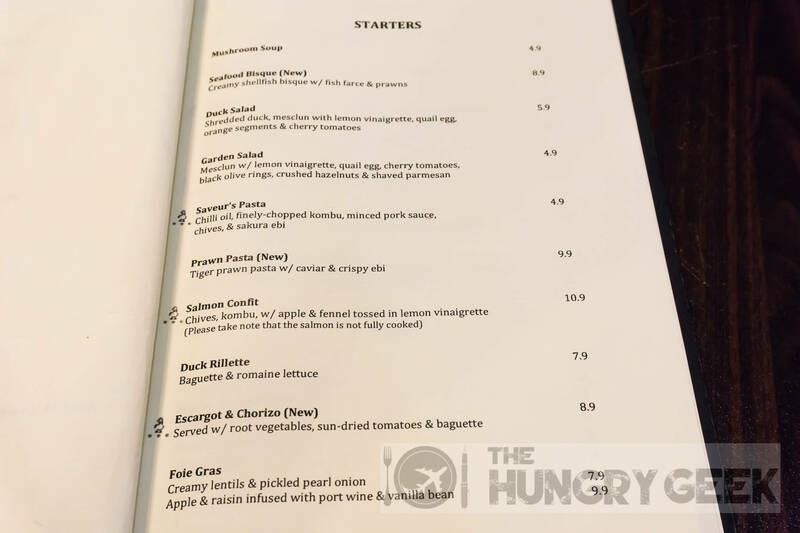 Saveur has really set the standard of French food in Singapore – and it is really amazing given that this is an affordable restaurant. This restaurant presents by-far the best value food that you will ever eat, once you take into account the service and the air-conditioned ambience. Fine dining French restaurants in Singapore should seek to, at the minimum, have food quality that matches what can be found at Saveur. Unfortunately this is rarely the case as many of those establishments have put way too much emphasis on service and ambience to the detriment of their own food standards. We hope Saveur never changes so we can keep our usual monthly routine to eat their delicious and affordable French fare. 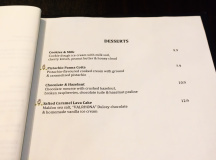 The Black Sheep Cafe – French Cuisine In "Singapore Restaurants"